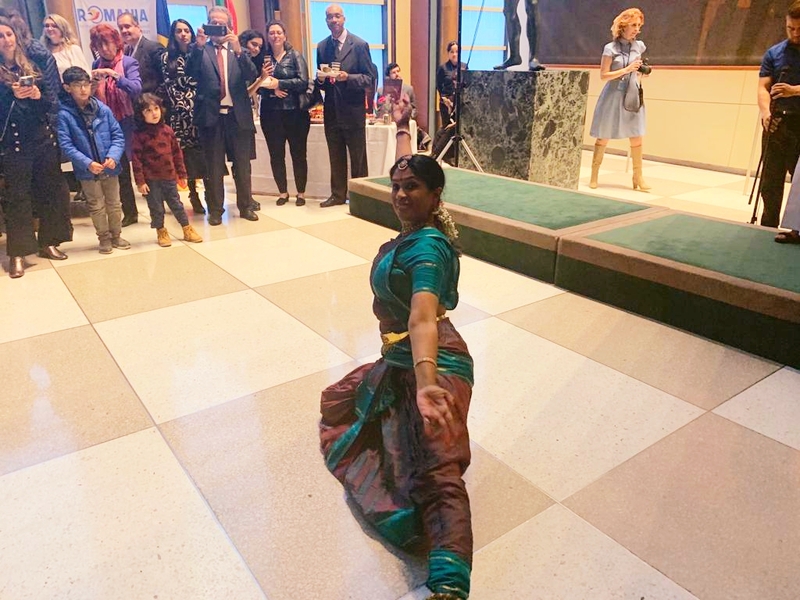 Sri Lanka was one of about 17 countries including Belgium, Netherlands, Saudi Arabia, Lebanon, Switzerland, Iraq, Kuwait, UAE and Latvia featured at the event held on 21 March 2019. 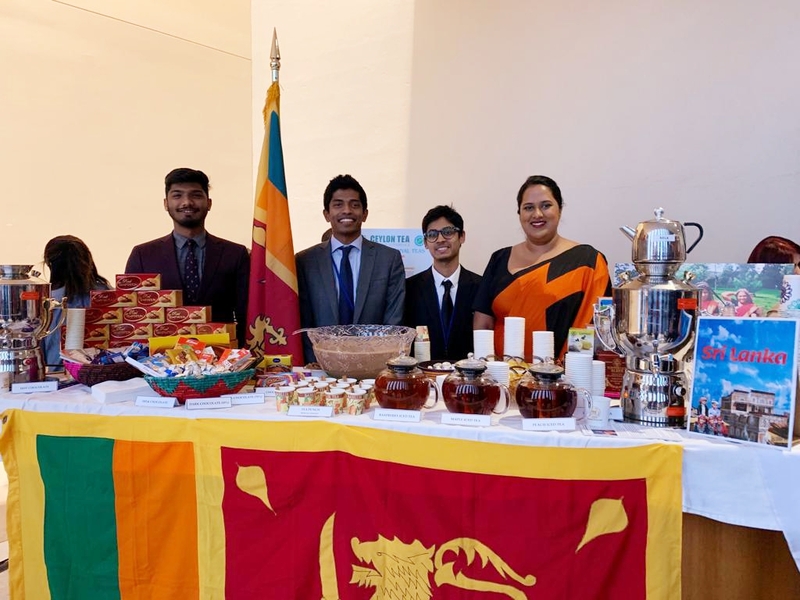 The Sri Lanka table featured chocolates from local manufacturers such as Edna, Maliban, Anods and Diana, in various forms, including hot chocolate drinks, chocolate cookies, chocolate biscuits, slabs, bars etc., and also an array of teas including hot black tea and iced flavoured teas. The colourful stall also displayed posters and brochures promoting tourism and Tea and was an instant hit attracting a stream of guests. However, the highlight was the Chocolate Tea, made with Ceylon tea, chocolate and spices. The recipe for this tea was specially sent to the Mission by the Sri Lankan Tea Board. 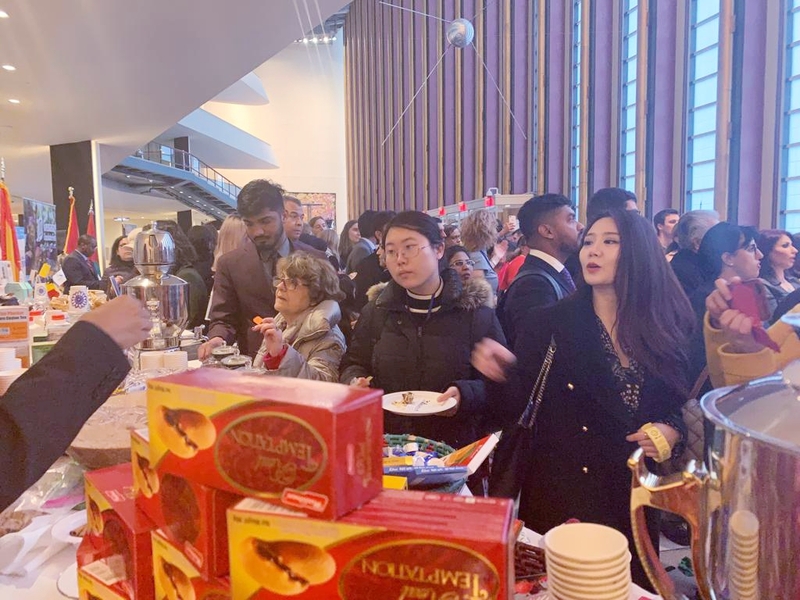 The visitors to the stall included Permanent Representatives and diplomats as well as native New Yorkers who all appreciated the Chocolate Tea. DJ Carlos who was hired for the occasion, played Sri Lanka favorites such as Indunil Gangulal, Yanna Rata Wate and Midule Weli Maligawae. The event also featured various artistes including Sid Chidiac the renowned chocolate painter from Algeria who displayed a fabulous array of portraits entirely in chocolate, renowned singers from Finland, and Sri Lankan expatriate Guru Calai Chandrashekaram who performed an evocative Bharatha Natyam devotional to the culture of dance. 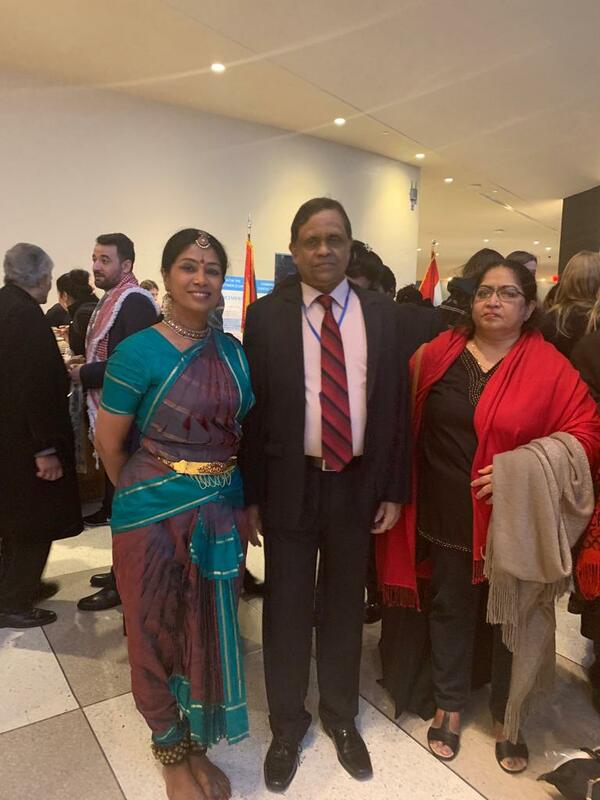 The Ambassador and Permanent Representative of Yemen thanked Sri Lanka and the other states for participating in this charity event to benefit the children of Yemen. This event provided a unique opportunity not only to showcase Sri Lanka’s chocolate and chocolate based confectionary but also its fine teas and spices and to demonstrate the diversity of our export market and brand Sri Lanka as a nation of many parts that will not hesitate to come to the aid of another member state. Participation at Salon du Chocolat III served as part of a series of side events this Mission organized on the side lines of the Sixty-third session of the Commission on the Status of Women.